Comfortable and spacious, sleeps 4 people, 2 bedrooms, 2 bathrooms. Fully furnished, with kitchen, laundry area, dining room, sitting room with satellite TV, private patio, free WiFi, secure off-street parking. 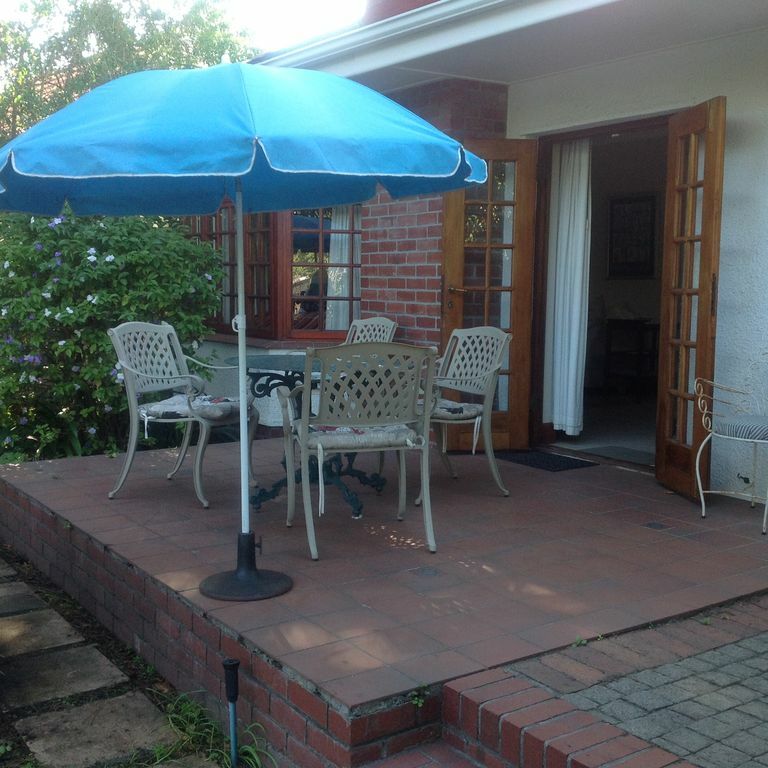 Situated in a lovely garden with large swimming pool, barbecue area, and tennis court. Centrally situated : only 15 mins away from Cape Town International Airport, 15 mins from the CBD, V & A Waterfront and Table Mountain. Beautiful beaches only 15 km. away. Kirstenbosch Botanical Gardens nearby and famous Wine route 50 km. away. Easy access to top restaurants, coffee bars, and shopping malls.